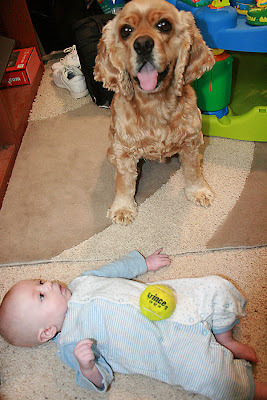 In an attempt to get me to throw his ball Bailey came and laid it on Milo. I guess he knows how to get my attention. No, I didn't Photoshop this pic it, really happened this way.